When it comes to addressing maintenance on your property – there are many common things which can be easily overlooked and only addressed if there is an issue, major breakdown or in the case of plumbing – water leaks. Sometimes, this can be too late and the equipment is in disrepair or there is major damage done to the property (particularly when water is involved) which can cost the property owner(s) or the body corporate both time and money. Preventative plumbing maintenance should be carried out to check that there are no issues which could cause an unexpected breakdown or more severe issues such as flooding, gas leaks or blocked drains, just to name a few! What are the benefits of being proactive with preventative plumbing maintenance? Cost savings – the cost savings of taking part in a preventative plumbing maintenance program notably outweigh the costs you incur when the equipment fails. It’s also more cost-effective if you have multiple properties or units to get the plumbing systems reviewed the same time. In the short term, the expense of component replacement that is old or no longer working as it should, is a great deal lower than when emergency repairs are needed – especially if an after-hours emergency call out is required. Prevent risk – being proactive in maintaining plumbing systems and therefore averting issues before problems arise plays a big part in safety and risk management. As an example; hot water units have several changeable and serviceable components and valves which can extend the life of the hot water unit and prevent major faults. Worst case scenario – regular maintenance can prevent the hot water unit from bursting which may not only result in flooding of your property with 50 to 70 degree water which is extremely dangerous but also lead to potential water in and around electrical wires which can then lead to a risk of electrocution. Peace of mind – Collectively, the property manager, property owner and tenant will all have peace of mind that the equipment and plumbing services have had regular servicing for extended longevity and risk prevention. When gas works are concerned, this is especially important as carbon monoxide poisoning can cause serious illness and death. Knowledge and confidence – not only with the plumbing company but also confidence and knowledge with your own plumbing systems. You’ll also have extended longevity of the equipment, which will increase the property managers or property owner’s confidence. Additionally – using the same contractor each time for maintenance works means that they have the comprehension and history of the property. Time saving and flexibility – In the long-run, preventative plumbing maintenance is extremely time-effective, especially if directly compared with replacing a hot water unit for example. For plumbing maintenance, you need a company who can work around your schedule and availability. Particularly if water is required to be switched off for a short period of time or when servicing multiple units. How often should Preventative Plumbing Maintenance be carried out? To prevent such occurrences, preventative plumbing maintenance should be carried out whilst equipment or plumbing systems are fully functioning. Generally speaking, most systems and equipment should be checked annually. This is especially important for mature buildings where roofs are especially fragile. For newly built residential properties or units, a preventative plumbing maintenance audit should be carried out at the end of its DLP (Defects Liability Period) to ensure the systems are running at full capacity. These days, the defects liability period is getting shorter and shorter, so it’s more important than ever to ensure the plumbing systems are inspected for underlying issues. 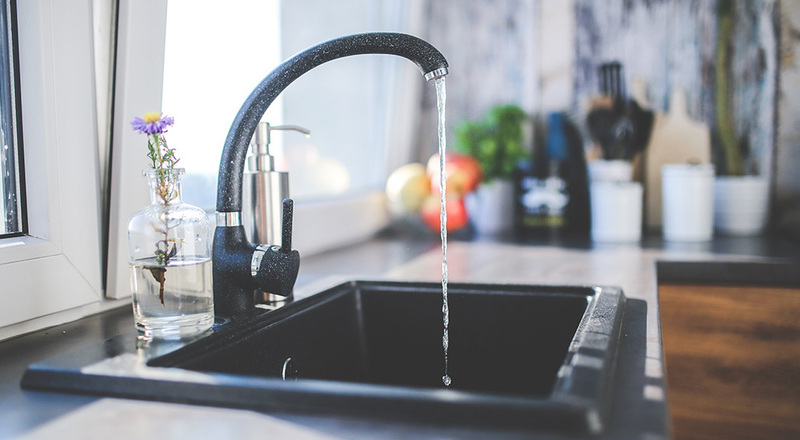 Once the appliance or plumbing system has been cleaned and inspected, we can then assess if we require elements to be replaced or need urgent attention. In situations where urgent attention is required, relevant parties will always be contacted. To save time and money, a quote will be submitted whilst the plumber is on-site to carry out the required repairs. Who is using the preventative maintenance program? Historically, preventative maintenance has generally been carried out on industrial equipment that had a statutory requirement for when the servicing for the equipment was required. These days the benefits of preventative maintenance are starting to be implemented in the Property Management area by Strata Management Companies, Body Corporates and the like who are well ahead of the curve and have seen the added benefits it brings to their businesses and for their valued clients. RTL Plumbing’s Preventative Maintenance Audit – What’s included? A thorough visual inspection and testing for correct operation of your property’s plumbing systems including water supply, gas appliances, waste pipes, hot water system & sanitary fixtures. A written report documenting the items that were inspected/tested with a rating on their condition and approximate life expectancy and recommended actions for each item. All inspections include photos of the items inspected. The properties basin, sink, and laundry tub traps will be cleaned to rid them of hair & soap scum build-up. CCTV inspection of the property’s main sewer or storm water drains. On completion, a USB with the inspection video will be provided and if any repairs are required for the drain, a quote to follow. Roof Inspection & Gutter Clean including minor repairs carried out. Before and after photos of the roof are provided, as well as a detailed report including photos identifying the condition of all roof components. We will quote on any major issues detected during the inspection. Pressure testing of the gas system/water system to determine whether there are leaks present.